Guimaras isn’t just an island where you can find the sweetest mangoes. This is also a place of outstanding natural beauty: beaches, islets, springs and waterfalls are found all over. There’s a bit of history and culture too so there’s a little something for everybody. Guimaras is a good day trip destination from Iloilo or you can opt to stay on the island and explore its many wonders. Opting to stay will definitely bump up your budget but it allows you to see so much more. A number of attractions in Guimaras can be visited free of charge. If you want someone to guide you, there are several drivers of tricycles and mini-vans who have fixed rates for tours around the island. Starting your trip in Jordan, head to the OLP Trappist Monastery where you can rest and relax and buy a variety of products made from mangoes. 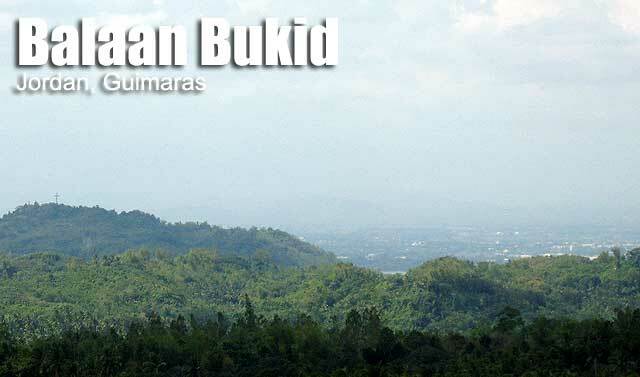 Also located in this town is Balaan Bukid where you’ll be rewarded with views of Iloilo’s skyline after a 30-45 minute trek. Since you’re on an island, what better way to enjoy than to hit the beach? There’s a public beach called Alubihod Beach in the town of Nueva Valencia. If your budget allows, take the island hopping tour that uses Alubihod as the jump-off point. You’ll get to see different islets about 15-30 minutes away from the beach. Another beach in the town of Nueva Valencia is Guisi Beach with its amazing rock formations and 18th-century lighthouse. A 15-minute trek will take you to the lighthouse where you are offered great views of the beach. Also in Nueva Valencia is the Taklong Island Marine Reserve which features limestone rock formations and a number of coves with white sand beaches. There’s a lighthouse on the island located on the top of a hill which offers a good view of the island. Although you can stay on the island, you would still require permission to do so. If you don’t have time to spare for that, a day trip will do. In the town of Buenavista is one of the oldest churches on the island, the Navalas Church. Although much of it has been renovated to something more modern, the façade is quite preserved. Located nearby is the Roca Encatadia Heritage House which offers stunning views of the Iloilo Strait including Siete Pecados, a group of seven islands off the shore of Buenavista. This guide could have included Isla Naburot but it’s quite expensive. Other interesting but slightly costly destinations are Inampulungan Island (location of the Costa Aguada Island Resort) and Nagarao Island Resort. Guimaras is only a 15-minute boat ride away from the Ortiz Port of Iloilo City. Hopping on a boat from this port takes you to the port of Jordan in Guimaras. Guimaras is a beautiful island and you don’t have to spend a lot of money to enjoy what it has to offer. For an even better experience, use public transportation to get you around the island. This way, you’ll have more fun and don’t have to shell out tons of cash.